Missa x Line offers tons of product selections. They even launched more products recently. The First product I got was Missha x Line Eye Color Studio Mini. 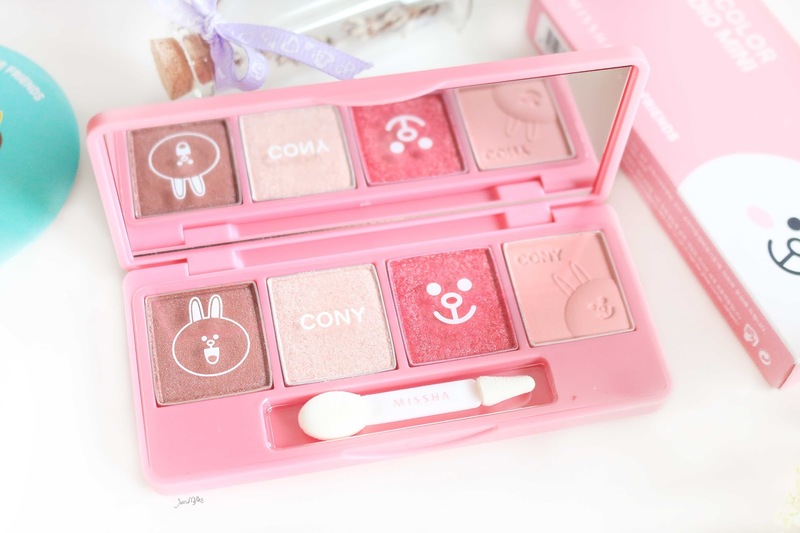 It's an eyeshadow quad with 3 color selections: Brown, Cony and Sally. I got this Eye Color Studio Mini in Brown Browny and Cony Pink. Sally was launched not long later after Brown and Cony. It's not my favorite character from Line Friends so did not purchase it. The packaging had popular Line Friends characters plastered on it. Missha Eye Color Studio Mini Brown Browny and Cony Pink have the characters’ faces printed on top of the lid and the box it came in. Not only that, the packaging is just too cute! On the inside, you will find Brown and Cony’s faces printed on the plastic cover that serves as embroideries for the actual product. Everything about this has got “cuteness overload” stapled on its forehead. I even hesitate to use the product for the sake of keeping both items in minted condition. 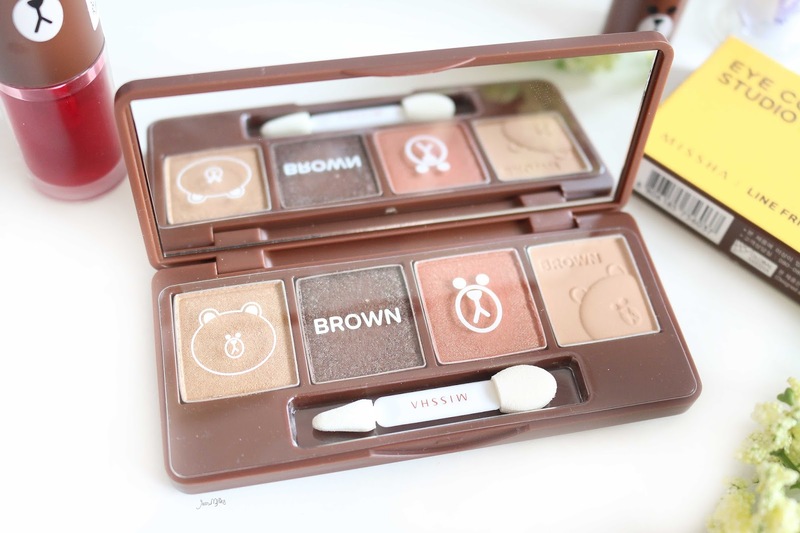 Missha X Line Eye Color Studio Mini Brown Browny mainly consists of 4 warm brown tone eye-shadows. The first color it offers is light brown with iridescent gold shimmer, second color is a medium dark brown with gold and green sheen, the third color is a medium brown red shadow with micro shimmer, and the last one is a skin tone brown in matte finish. I like that it has a matte eyeshadow on this palette along with medium and dark tone shadows. It's easier to create various makeup looks with a palette that has got light, medium and dark eye-shadows. Even though the packaging is straight-out creative and cute, but the quality of the product itself is regretfully, not as good as the packaging it came in. Just like most of Korean eyeshadows, it's not really pigmented and you'll need more than three swipes to get the colour as pigmented as shown on the picture below. 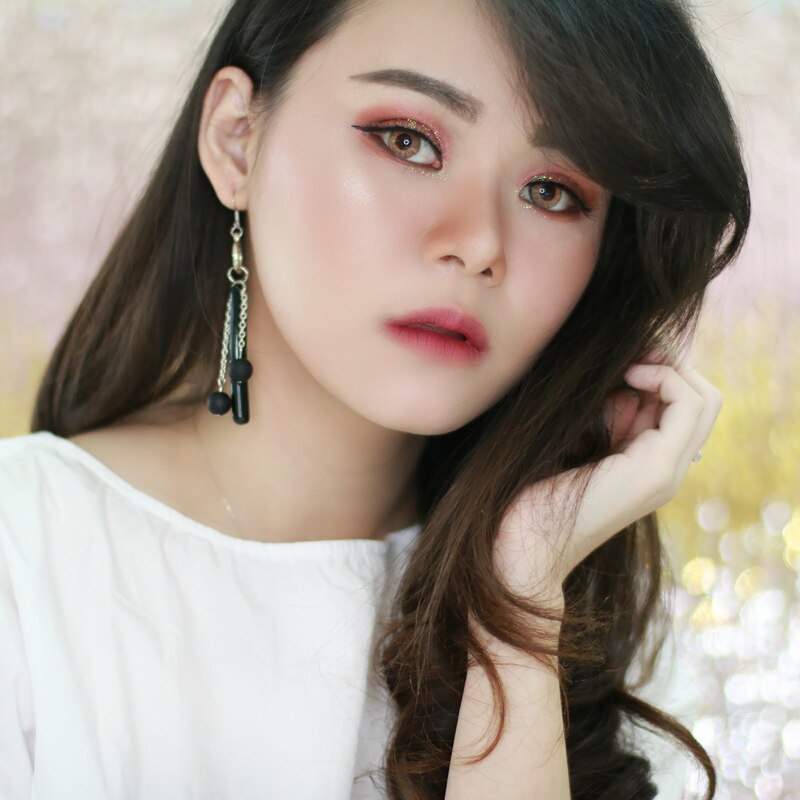 It’s good for an everyday makeup look and works great when you plan to go for that coveted Korean makeup look; because the eyeshadows are mostly shimmery. However, it's not something I’d use for a party makeup look. 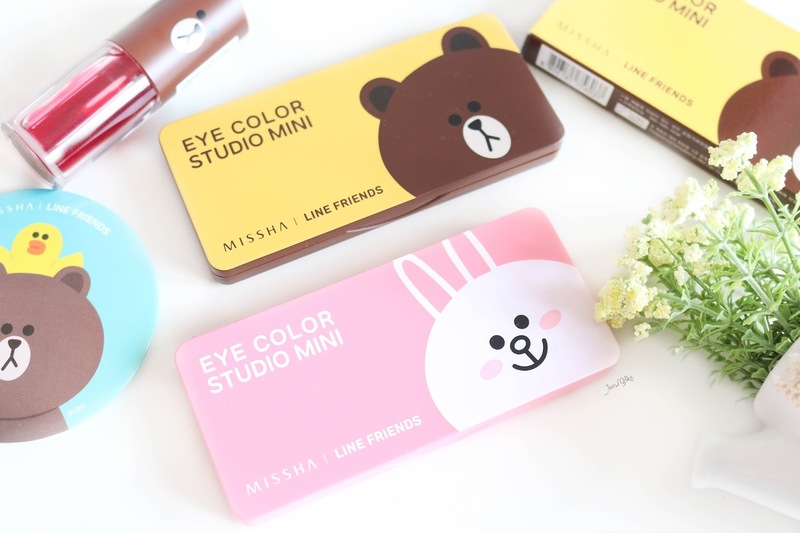 Missha x Line Eye Color Studio Mini in Cony Pink is even cuter then the Brown Browny. I love it more since it's pink and pink is my favorite color. 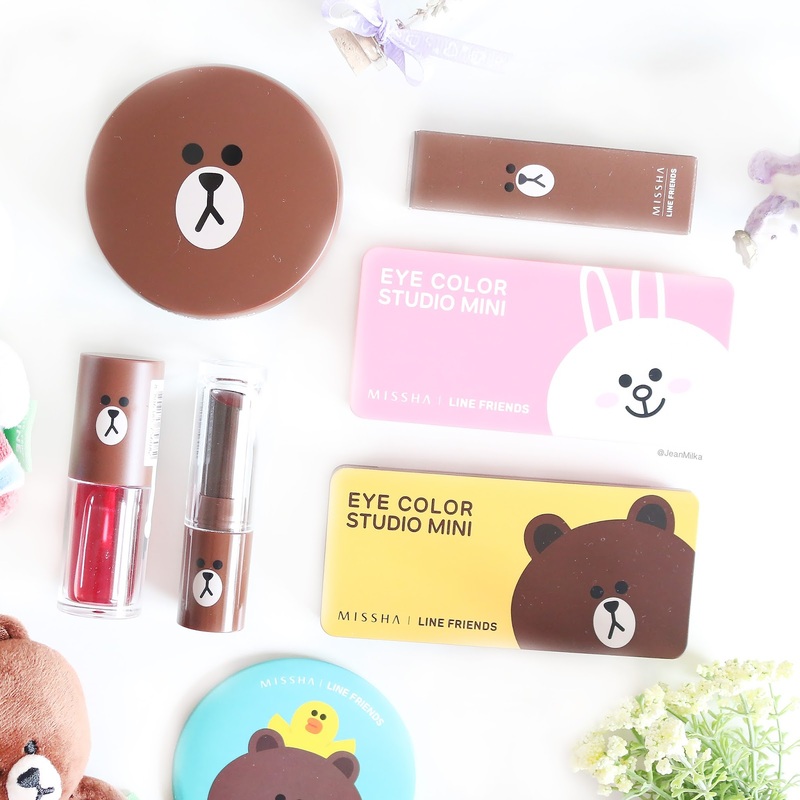 The packaging boasts the same concept as the Brown Browny with Cony’s face adorning all parts of the packaging. The color offered by this palette is not my favorite tho. 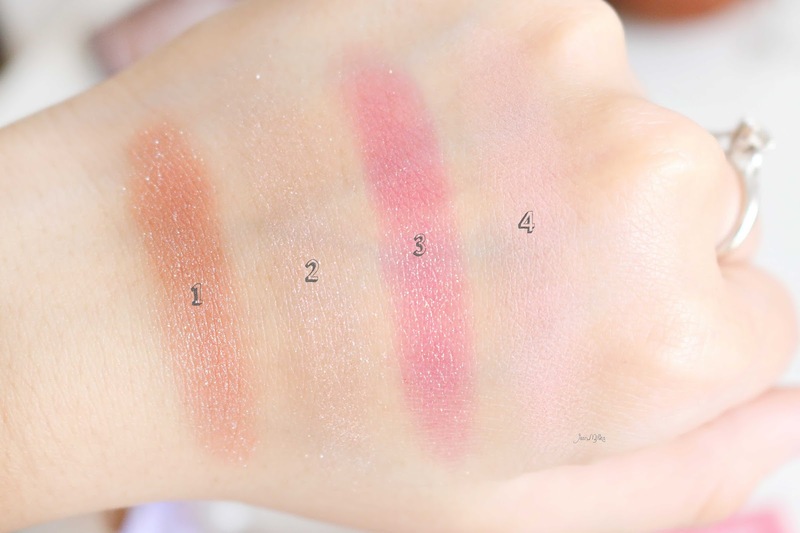 The color is dominated bby pink tone eyeshadows and most of the colors lack pigmentation. The first color looks like light burgundy on the pan but it's actually a light golden brown with muted red tone and silver shimmer, the second color is a light pink with a lot of glitters and it's not blend able, the third color is a shocking pink eyeshadows with gold sheen and the last one is light Barbie pink shadow in matte finish. 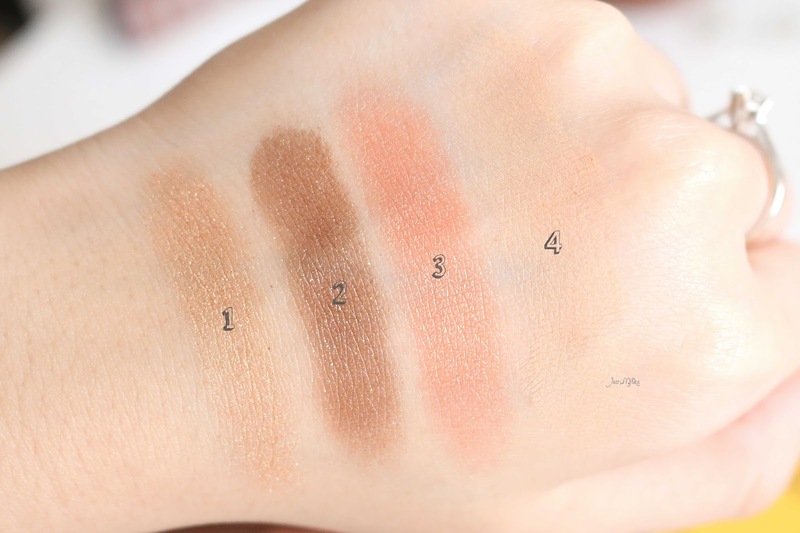 As you can see from the swatch picture below, this is not a stand-alone palette you can use on its own. Most of the colours are light or medium tone and for me it's always better to have a dark tone shadow in a palette. Not like the Brown Browny palette, the eyeshadow from this palette was hard to blend and the eyeshadows had chucks of glitters on it. Moreover, it easily fades away after a couple of hours and leave you with nothing but a pair of eyelids full of glitters. 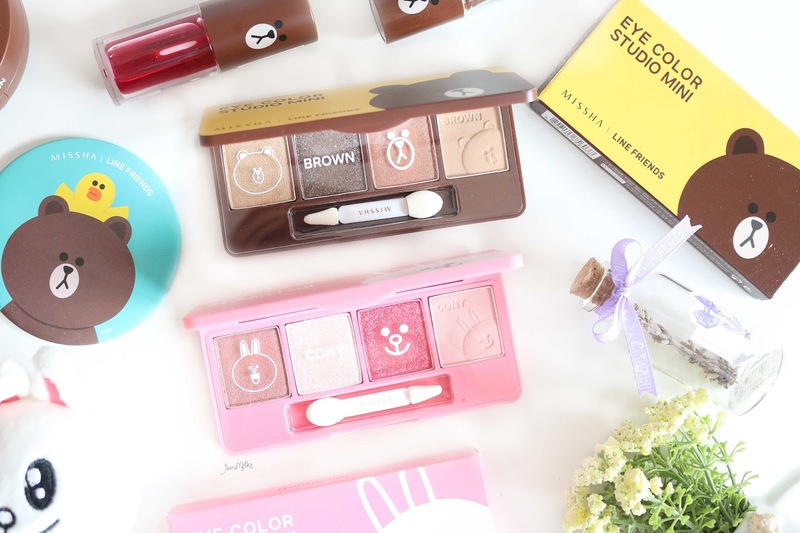 2 komentar on "Missha x Line Friends Eye Color Studio Mini Review & Swatch | Limited Edition"
Hi Jean, I've discovered you on G+!